A key purpose of the DIPG Treatment Advisory Council is to provide medical and scientific information and advice to children and families facing DIPG. The DIPG-TAC medical protocol is at the heart of the therapeutic matrix provided to parents to consider for their children. In consultation with one or more specific members of our clinical guidance team, the family will be provided with a treatment strategy that is driven by personalized informatics, research and family objectives and consists of some or all of the DIPG-TAC treatment protocol. The DIPG Treatment Advisory Council team will assist the families with communicating with the child’s clinicians and clinical centers, maintain communication as treatment objectives are assessed and altered as necessary, and provide therapeutic pathway options at every step. Provide first class contact support at short notice. Provide second opinions on MRI’s, analyze and interpret new treatment options and support all strategy initiatives with rigorous pre-clinical testing in our proprietary laboratory. By working with the team at the DIPG Treatment Advisory Council, for the first time in the history of DIPG, parents are provided with a fully informed approach to creating an actionable multimodal protocol for their child that is based upon the fundamental principle that DIPG must be combatted with as advanced a regimen as can be obtained, supported by results achieved by children using the DIPG-TAC treatment protocols. The DIPG Treatment Advisory Council does not take control away from a clinical care team. 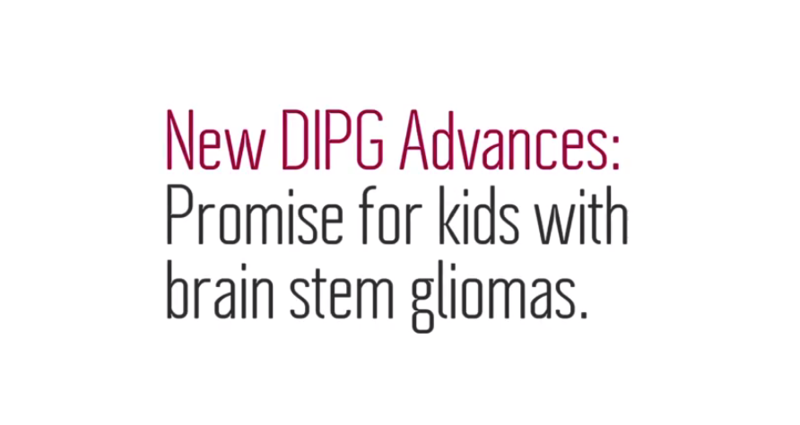 Rather, the DIPG Treatment Advisory Council provides parents with the most complete and informed DIPG treatment guidance and support available. Parents are provided with an analysis with supporting clinical evidence for treatment decisions as well as “on the ground” assistance in navigating the complexities involved and the potential coordination between clinicians and pharma or hospitals if necessary. The DIPG Treatment Advisory Council is not a location to obtain a “second opinion” The DIPG Treatment Advisory Council is the most important place of commencement to try to save the life of the child following diagnosis. to alleviate the difficulties experienced with navigating the new world of DIPG without sufficient knowledge or expertise. to create a medical pathway for clinical care that is focused not simply upon trying something because it is the only advice provided or because it is standard of care or “safe”, despite the lack of objective response data, but to implement all of part of the DIPG-TAC medical protocol allied to professional guidance that is aimed at better outcomes for children with DIPG and the underlying research driving these decisions. As the DIPG Treatment Advisory Council proves the value of the approach for children and the parents, additional aspects of clinical support guidance may be included to fulfill the 360 approach that most families seek. This may include complimentary care guidance through working with a nutritionist, support for obtaining financial assistance through the guidance of social workers at the Council, end of life/quality of life support. (This may be provided through a secondary charitable component). It is imperative that the therapeutic and clinical guidance is supported by laboratory research. This component of the approach not only provides extreme legitimacy, more importantly, it removes the DIPG Treatment Advisory Council from competitors in the “second opinion” market by driving therapeutic and clinical recommendations through personal data and individualized markers, wherever available. In addition, the laboratory component, through working with the administrative guidance arm of the DIPG Treatment Advisory Council, can also assist families in the collection of genetic materials for the creation of PDX models, sequencing and treatment target analysis so that the end product of the DIPG Treatment Advisory Council is in fact guided by scientific evidence rather than blind assumptions. The laboratory component must quickly establish itself (within 2-3 years maximum) as the scientific and intellectual hub of precision multimodal multi drug medicine guidance for children with DIPG. Through the two operational advisers, both of whom have parental experience of DIPG children, families are provided with access to parental experts with some of the most significant experience in building a plural pathway through clinical decisions. Clinical treatment protocols and single therapy initiatives will be created by the medical guidance team independently, and will be discussed and disseminated with the inclusion of the advisers participating in consultation meetings. By including one of these two parental experts, families are ensured that the recommendations and goals are harmonized and that the dialogue is bi-directional. The advisers are advocates on the ground, walking families through the difficult therapeutic choices and drug recommendations as well as providing first-hand understanding of the emotional strain. Parents facing diagnosis of DIPG are only provided with the overview of the local or brand name clinical care team administering the treatment. They are not provided with guidance as to the available treatments advocated for by selected clinicians and researchers worldwide who understand that conventional and constrained approaches to treatment are not creating clinical outcomes. 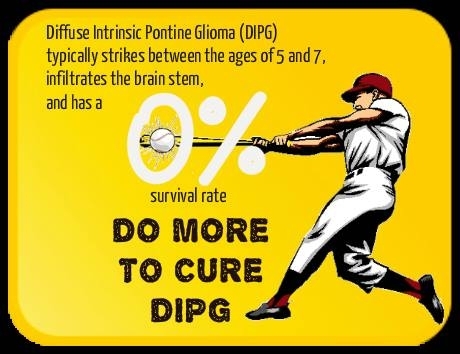 The DIPG Treatment Advisory Council is an autonomous expert center that provides the medical guidance for the entire journey to the goal of cure, driven by an underlying scientific framework of families seeking to break the sustained cycle of death associated with DIPG. a. We don’t really know. There are some biological clues including histone, PDGF, EGFR. However we also think that DIPG is not one disease, but rather it comprises of multiple subtypes potentially driven by different pathways. 2. Why do more girls than boys seem to get DIPG? a. That is most likely not the case. Our survey of hundreds of published and unpublished cases showed that in general, total number of DIPG cases is equally distributed amongst boys and girls (with a slightly higher number amongst boys). However, more boys are in H3.3 subtype while more girls harbour H3.1 mutation. 3. 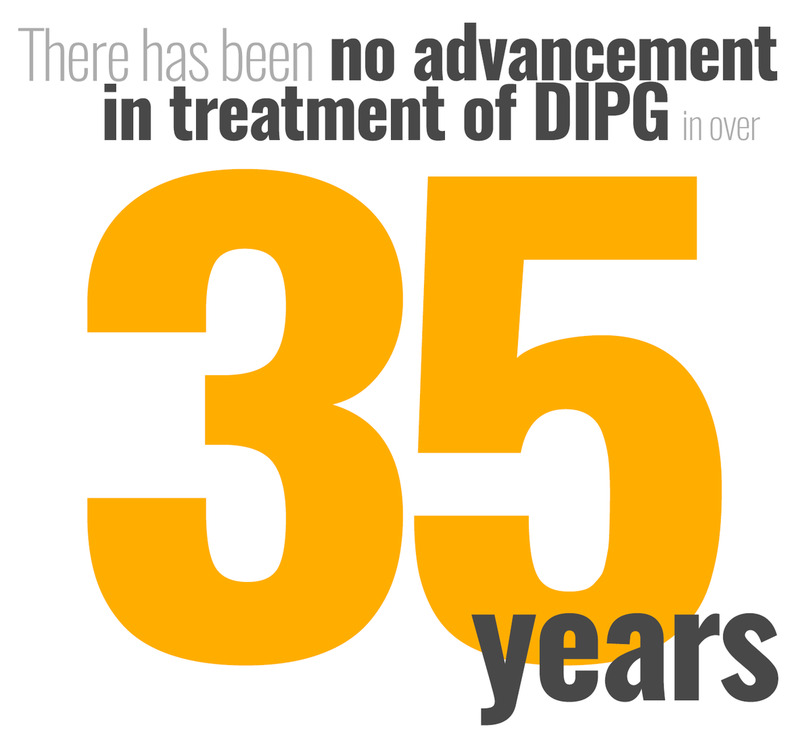 Does DIPG start in the womb, after birth or within a short timeframe pre-diagnosis? a. Our current methods of tumour detection (MRI) lacks sensitivity for early tumour detection. 4. How does the disease mutate and change during drug treatment leading to a plateau effect? a. Tumour mutation load, degree of heterogeneity, resistance mechanism, TBB (tumour blood barrier) are all known in DIPGs and most likely contribute to tumour evolution and treatment evasion/response/stability. 5. Does Radiotherapy (RT) cause ultimate re-acceleration of disease growth? 6. Why do some children get significant tumour reduction from RT and other only minimal reduction? a. RT will affect mitotic (actively dividing) cells. Thus, the mitotic phase of the tumour dictated RT affect. We are investigating whether the type of histone mutation predict RT response. 7. Why do children have varying lifespans post DX from less than three months to over two years? a. Mutation burden and many other yet unknown variables may contribute to this. 8. Why do some children witness explosive acceleration of disease progression and others gradual progression? 9. How many sub-types of each mutation are there to explain different treatment reactions? a. We know of 3 biological subtypes (Histone subtypes), but we do not know whether these genetic aberrations derive the tumorigenicity. 10. Does the disease start in the pons? a. The disease most likely starts in the pons. 11. Why is it only during disease progression that the disease travels down the spine via the CSF? a. We have no data indicating that the disease travels through the CSF. Cancer cells can directly extend through the tissue and spread to the spine. Moreover, we do NOT know when this extension happen. Tumour cells could very well have escaped out of the pons well before diagnosis. 12. Is DIPG thus a viral infection? a. Most likely not. Viral infection could result in predisposition but not the cause of the cancer. 13. If re-irradiation is now deemed too damaging, how do we know what amount of initial radiation is not damaging? a. We do not know if re-RT is damaging. This should be established through clinical trials. 14. To what degree is initial radiation neurologically damaging? a. This highly depends on the patient’s age, RT of the pons versus pons and cerebellum etc. 15. Why does disease progression typically take place outside the pons (cerebellum, medulla, & spine)? a. The disease progressed throughout the pons and then extends outside. There is no specific neuroanatomical location that is seems to be preferred more than another (outside the pons). The stage and timing at which the cells escape seems to dictate the observed metastasis. 16. Why do some patients experience a disease plateau effect for an extended period? a. We do not know this to be true. 17. Why does the disease tumour in the pons appear to plateau/suspend growth whilst growing elsewhere? a. The pons see RT while the cortex for example does not. Having said this, the pontine tumour continues to grow (the extent of which and tumour content may not be assessable by MRI).